As an alternative to public education, children four years of age and older are instructed in small classes with highly skilled, dedicated teachers. A traditional program following the guidelines of the Core Knowledge Sequence includes emphasis on reading, language, and literature, mathematics, history, geography, science, art, and music. These classes are complimented by courses in environmental science, computers, Spanish, theatre, physical education, and health-safety-nutrition. 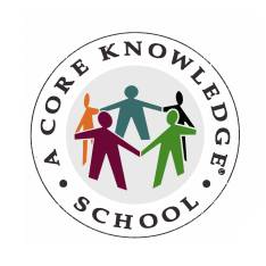 The Core Knowledge Sequence promotes excellence and fairness by providing a solid, coherent foundation of learning. At each grade level, all children are exposed to a core of challenging, interesting knowledge. This knowledge provides a foundation for later learning and the common ground for communication in a diverse society. Grade-by-grade sequencing of topics ensures that children attain a shared core of knowledge and skills and are best prepared for the next grade level. Teachers are most effective because their instruction presents new knowledge that builds on what the children already know. The philosophy of Wicomico Day School is integrated throughout the day as the students are encouraged to practice courtesy, kindness, and cooperation. All faculty in the elementary school meet the requirements of the Maryland State Department of Education.